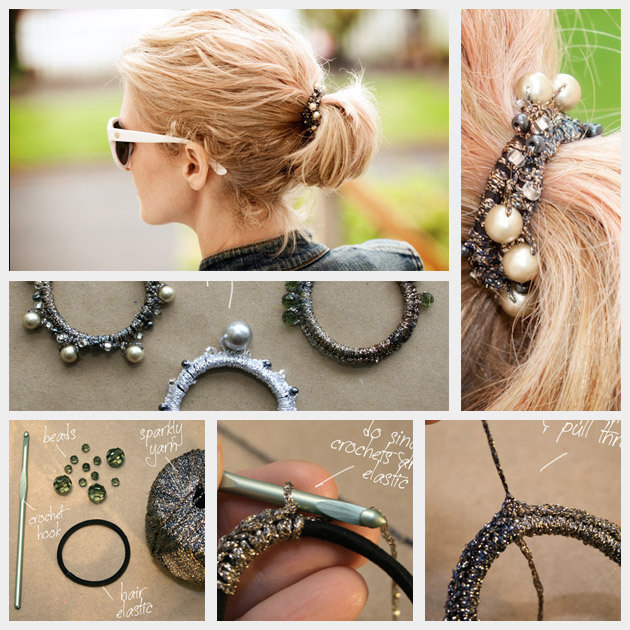 Make a simple ponytail or braid sparkle. Everywhere you look (like Pinterest mostly) you see so many gorgeous braids and pony tails. If you have basic crochet skills or just the desire to make these beaded hair ties you can easily add a glam touch to your next do. 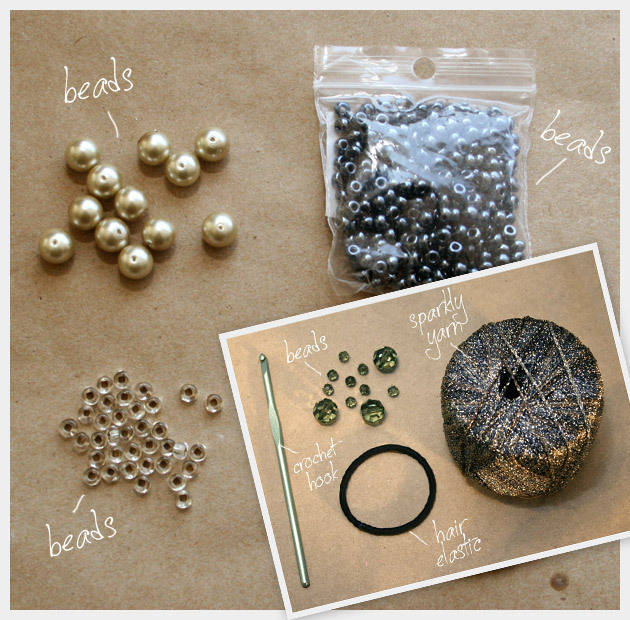 Decide what beads you will be using and how many. You can lay them out around your hair elastic to get an idea of how many and how it will look. 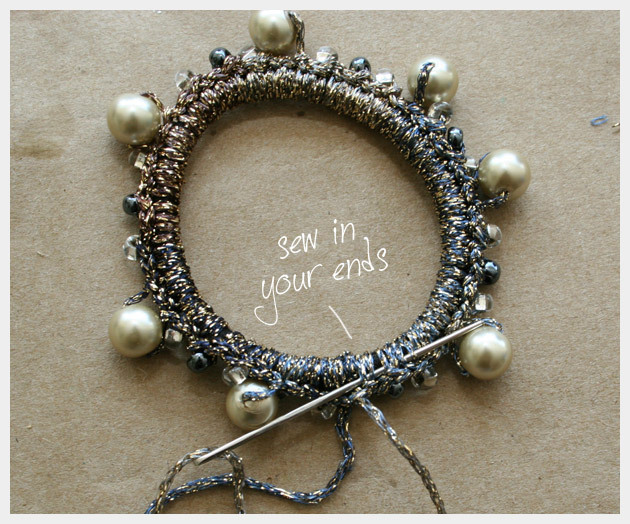 Thread your yarn onto your beading needle and thread your beads. With your crochet hook do a simple slip knot onto your hook to begin and do single crochets, wrapping around your hair elastic every time. 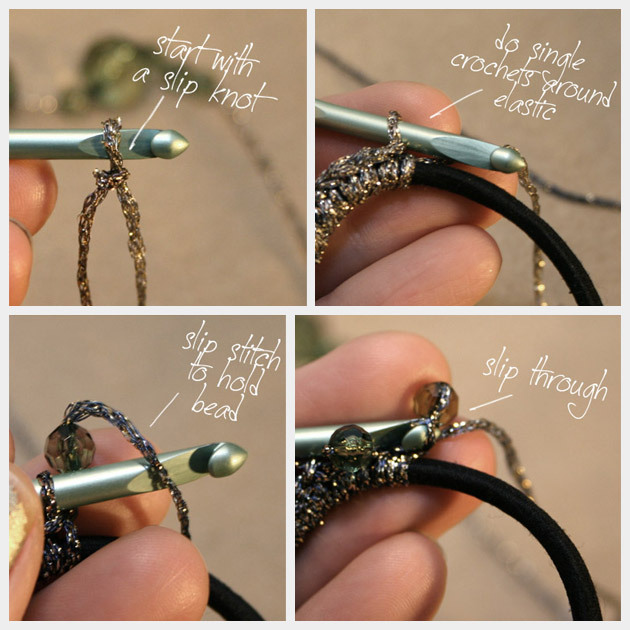 When you add your bead pull it up as close to your crochet hook as possible and do a slip stitch, then do more single crochets around your hair elastic and repeat adding beads as you go around. 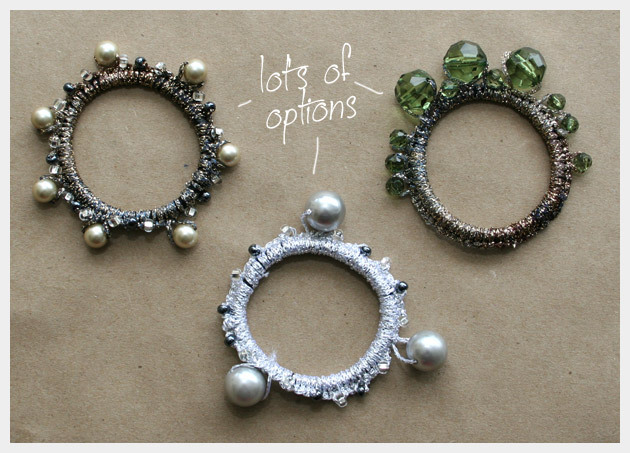 I recommend doing 2 to 4 single crochets in-between your beads. 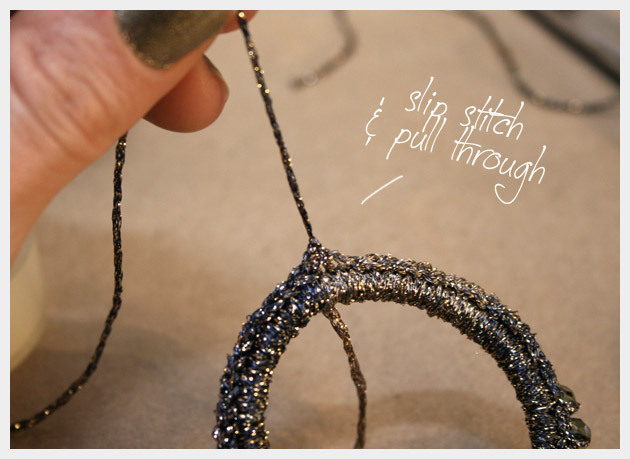 When you are finished, slip stitch through your first stitch to join your crochet and pull your thread through and tie. Using your yarn needle sew in the ends of your yarn. If your crochet skills are not the best you can see tutorials for the stitches here. Ive only used the slip stitch and the single crochet for this project. If you use enough beads and a sparkly yarn your stitches dont have to be perfect. Mix it up and have fun with it. If you have any questions about this project please leave me a message in the comments. Wow.. I love this. I’m a huge ponytail girl. So this is a great one for me! omg! this is just so awsome! i tie ponytail almost everyday! Thanks Janice! I’m so glad you like them! Wow…my girls will love this. Tell me about a beading needle? Is it longer…or thinner…is it actually caked a beading needle? Do they sell it at Johann’s Fabric? 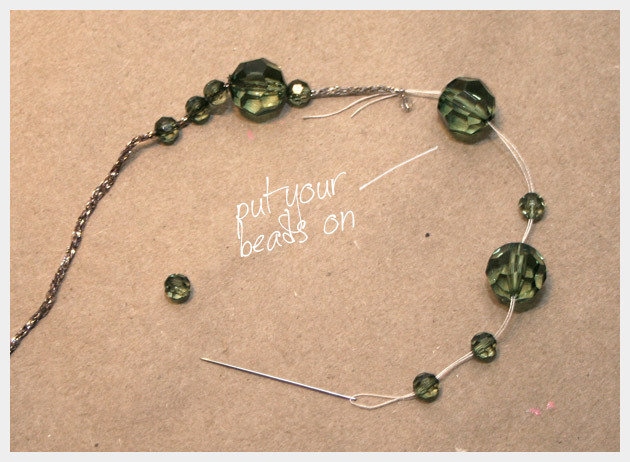 Yes, it is called a beading needle and they’re great. It’s very thin, it looks like twisted wire but with a large “eye”. They do sell them at Joann’s, that’s where I got mine. Let me know how yours turn out. 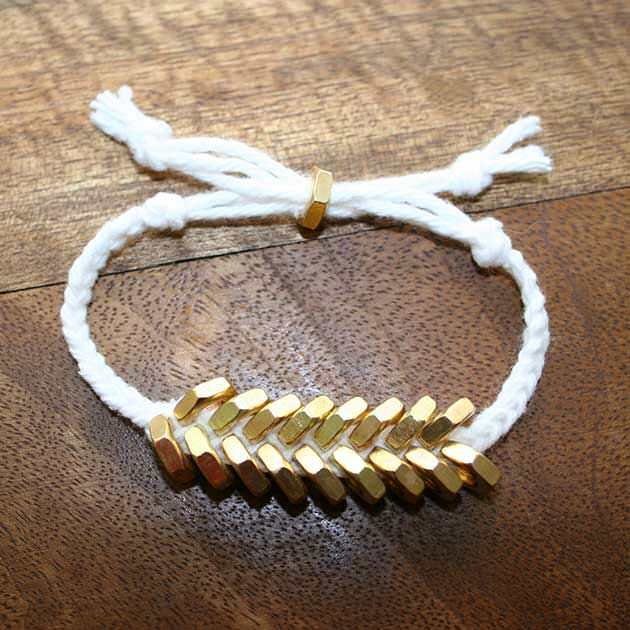 these are the coolest thing, I’ll try to make one! Did the yarn have a little stretch to it or some elastic? 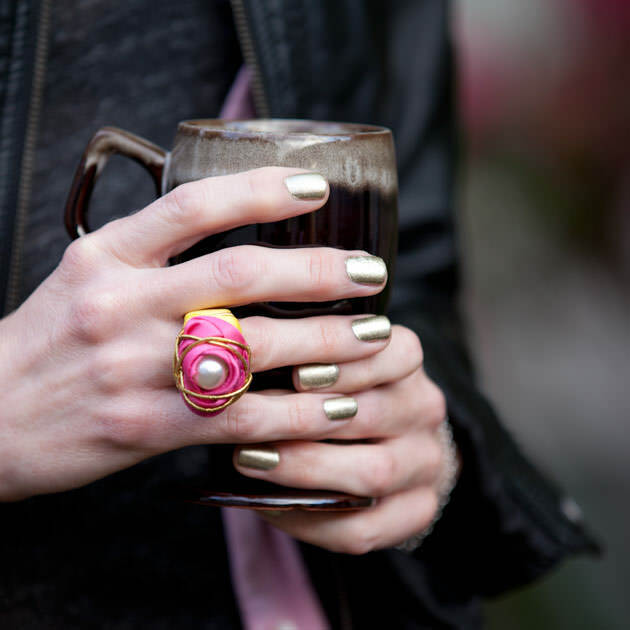 Or will regular yarn still allow the hair tie to stretch? The yarn I used did have a little stretch. If you use a yarn that doesn’t I would recommend crocheting it a little looser, that way your rubber band will still stretch. approximately how big were the holes of your beads? I may need to try this. Great upgrade to just a regular ol’ ponytail. 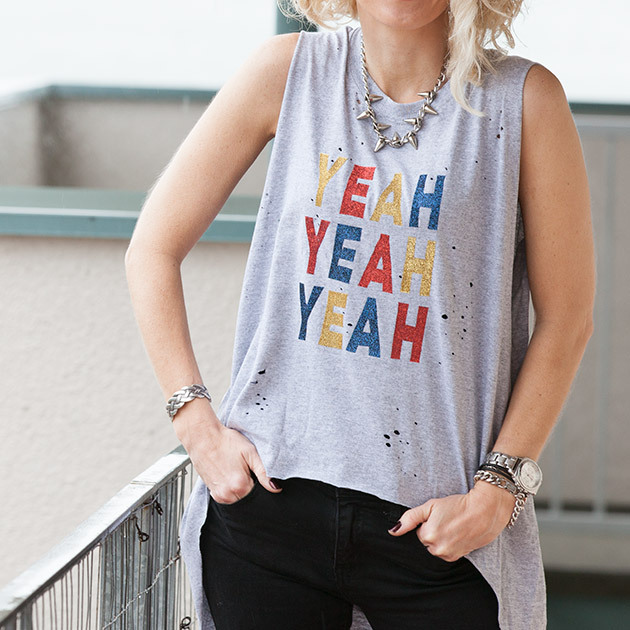 My friend and I have been trying to make these with no avail…. Could you make a tutorial video on how? ?